The hotel has 30 rooms, one suite, two superior deluxe aqua rooms and one room adapted for people with reduced mobility. All rooms overlook the caima river and its stunning shores. 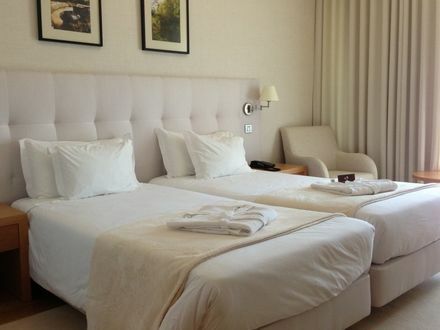 The rooms reveal relaxation, without neglecting the sophistication of a four-star hotel. The decoration is inspired by the four elements of nature: Fire, Water, Earth and Air. The symbiosis between the sober and warm tones of the elements, the current design of the furniture and the welcoming atmosphere add a touch of class to our accommodation. 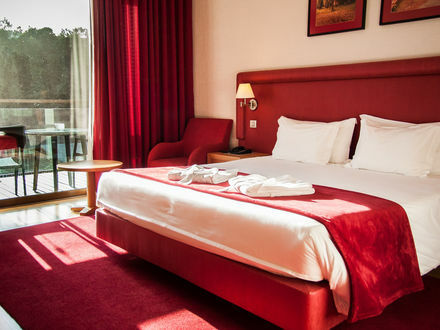 All rooms have views of the river valley and the breathtaking scenery of Caima the banks, which provides relaxation and relaxation, without neglecting the sophistication of a four star hotel. The decor is inspired by the four elements of nature: Earth, Air, Water and Fire. The symbiosis between the sober and warm tones of the elements, the current design of the furniture and the cozy atmosphere give a touch of class to our accommodation. All rooms overlook the river Caima and its stunning margins, which provides relaxation, without neglecting the sophistication of a four star hotel. Suitable for guests with disabilities.